Come play with the best players, coaches and management in the state! 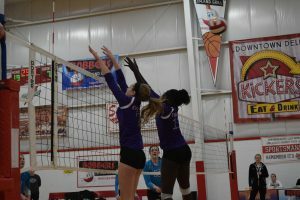 CLUB 43 focuses on player development, team unity and fun. Coach Glavan is considered the top trainer and skills coach in the Midwest and she will get your daughter to the next level. We are the most cost effective elite club in the metro when you compare apples to apples. Our base fees are equal to all other major club but we stand alone and cover hotel and meals for our national teams when they travel out of state. CLUB 43 reserves the right to combine age groups to form the most competitive teams possible. We are talented, competitive, fun, and we wear – PURPLE! There is a non-refundable $20 fee for tryouts.